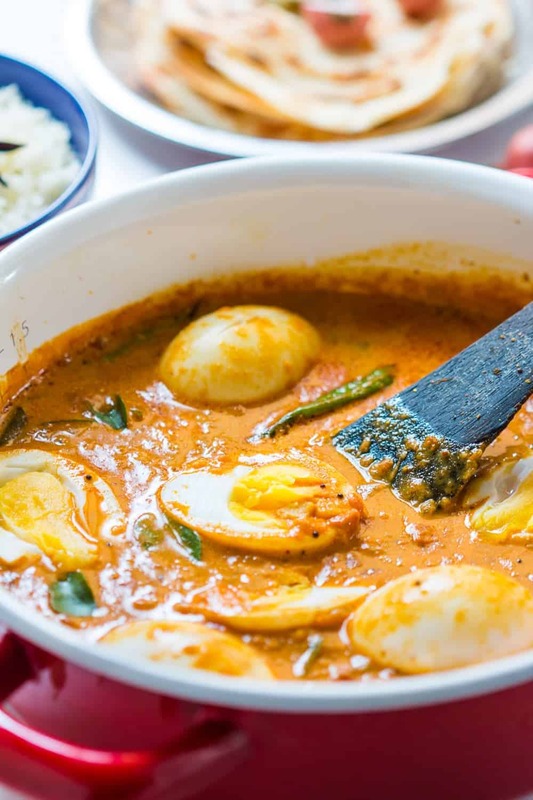 South Indian style Egg Curry is incredibly easy to make. 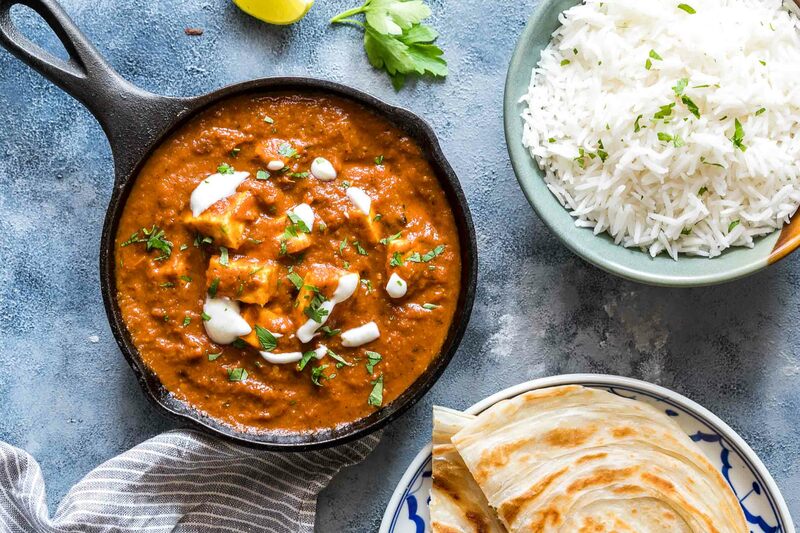 A few spices, onions, tomatoes and coconut milk make this utterly satisfying and comforting egg curry recipe that tastes best with parathas (flatbread) and rice. Make extras because everyone will want seconds! 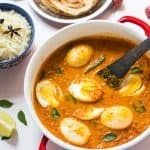 This south indian style egg curry. Because it’s cold and dreary and I’m shivering in jackets and boots and only a hot bowl of curry can make me feel better. Coconutty, creamy, spicy and tangy with a big bowl of rice and parottas on the side. I know we’ve done egg curry before but that was my north indian version, and the south indian part of me was begging me to share this with you guys! Hello Kerala and some inspirational cooking. I don’t know how they manage to get everything right! I mean, up north I wouldn’t dream of having egg curry for breakfast! You too? But next time, buy some idiyappams, pour that curry on top and go crazy! It’s the most satisfying feeling in the world! I can’t even! Because egg curry in any form is awesome, but this south indian version just tops it all. And peeps, malabar parottas with this curry – MUST HAVE! I know, calories. But let’s pretend we don’t know that for now. Place eggs in a pot and cover them completely with water. Once the water starts boiling, turn off the flame and cover the pot. Set aside for 10 minutes. Transfer the eggs to an ice bath to stop the cooking process, peel and enjoy. This will give you perfect boiled eggs where the yolk is still yellow and doesn’t turn blackish at the edges. So go forth, and enjoy this. And if you are a crazy egg curry fan like me, here’s some spicy North Indian style egg curry which is almost as good! 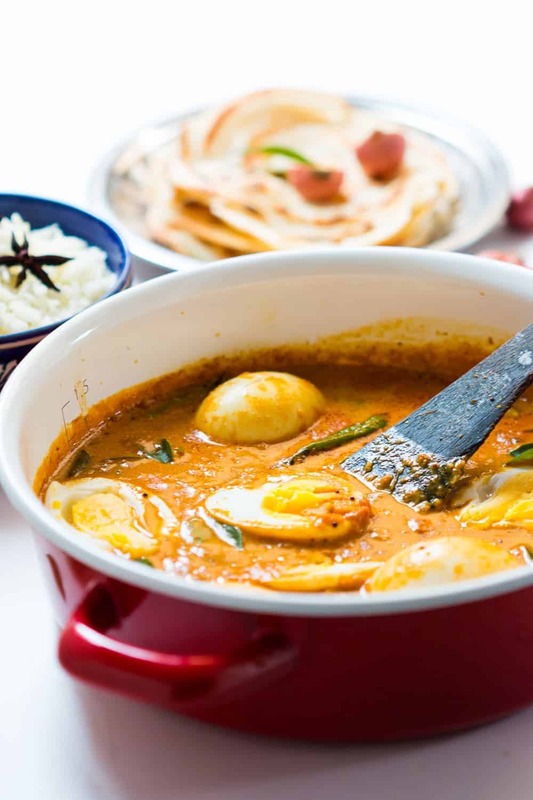 Learn how to make south indian style egg curry, inspired by Kerala cuisine. 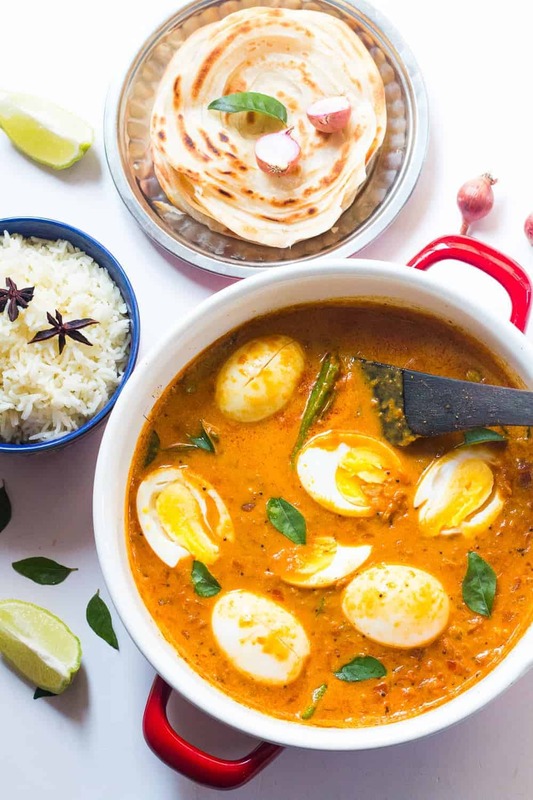 Easy, comforting and creamy egg curry recipe! This was absolutely delicious! I had made this tonight for dinner, and it was perfect. Thanks so much for the recipe! I’m so glad your dad liked it Dhanya! Thank you so much for leaving your feedback. Made this today and it was polished before I could count to 10!!! Wow! Thanks so much Nams! Made for dinner tonight – delist! I made it today. It came out amazingly well! Thank you for sharing the recipe! My new go to egg curry recipe. I’ve made this 3 times and its been hit all 3 times!!! Thank you Richa!!! I love hearing things like that Sana! Glad you liked this south indian style egg curry so much. Wow, this sounds amazing, beautiful photos too! 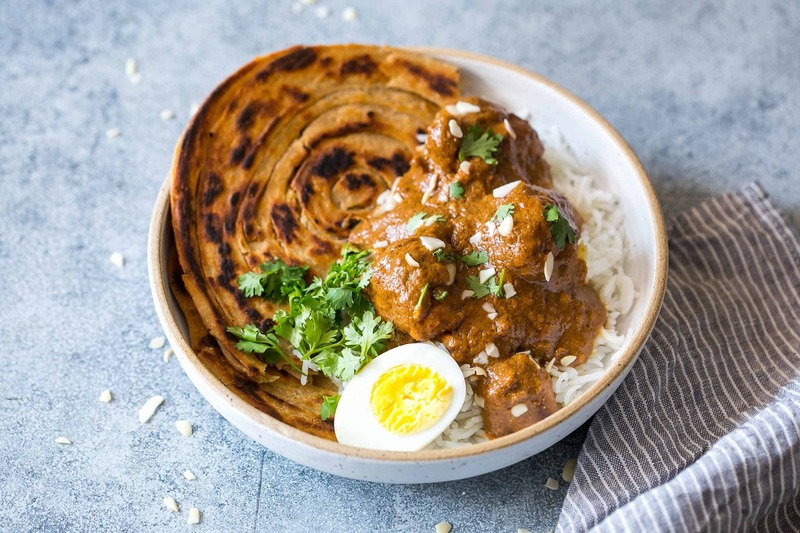 I’ve never heard of egg curry before, but I do love curry, so I’ll just have to make this recipe next! Thank you for sharing this recipe. I made it for a pot luck and and everyone loved it ! So happy everyone liked it! MAde this tonight and it was delicious. Thanks so much for sharing. Such a yummy and easy recepi.Thanks for sharing.Goes well with rice,roti,appam and idiappams. Yea, its so versatile and so so delicious! Thanks for this – looks very good. One question – green cardamoms or black? Thanks Roy, I used green cardamom here. I just made this with tofu instead of eggs. It was my first time using tamarind in any form, so I’m not sure if I did it right, but the final product tasted more sophisticated from any other curry I’ve ever made. I used canned tomatoes and omitted the curry leaves because they aren’t available near me. I also used a whole can of coconut milk and didn’t thin it out. I don’t know if I made too many changes to the original recipe, but in any case I will make it again! Wow that sounds really interesting Brian Jones. Must try that! I hope you like it Julia! I know right! 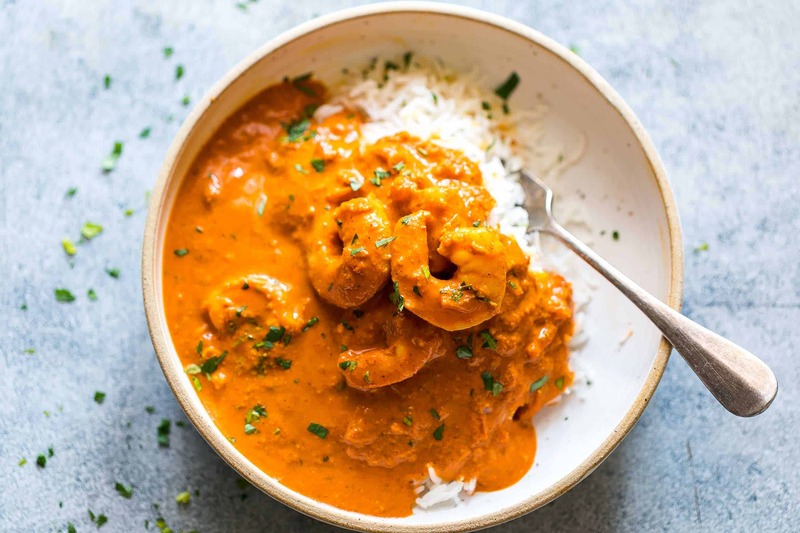 It’s topping my list of favorite curries right now Indu!